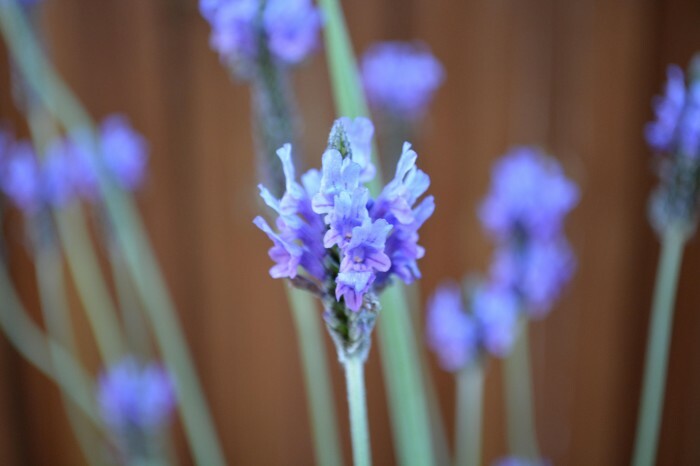 Bring the beauty of flowers into your kitchen, and the goodness they can provide the body, by making a lovely lavender or rose ice cream on a warm day this spring. Flowers have a way of lightening the spirit and promoting a cheerful attitude, like ice cream does. So why not combine the two and whip up a treat that has the potential to turn around a bad day or make a good day even better. Make a batch of the following flower-infused frozen deserts for yourself, or your family, and enjoy flowers in yet another delicious way. 1. Steep half of the flower petals in boiling water for about one hour. Strain petals and reserve water. 2. Shake cans of coconut milk to make sure coconut cream and water is not separated. Open them and add coconut milk to a large mixing bowl. 3. Add flower water, salt, cornstarch, and sugar to mixing bowl. Mix all ingredients together until well combined. 4. Pour mixture into an ice cream maker. Add remaining flower petals. Freeze ice cream according to manufacturers instructions. Note ** If you don’t have an ice cream maker, pour coconut milk mixture and remaining flower petals into a freezer-safe dish that has a lid. Stir gently to incorporate flower petals. Cover, and then freeze for six hours. When you make these flower-infused ice creams, take care to only use flowers that have not been grown with chemical pesticides. Use organic flower petals or flower petals that you have grown safely in your home garden. Bring the beauty of flowers into your kitchen, and the goodness they can provide the body, by making a lovely lavender or rose ice cream on a warm day this spring.Flowers have a way of lightening the spirit and promoting a cheerful attitude, like ice cream does. So why not combine the two and whip up a treat that has the potential to turn around a bad day or make a good day even better. Make a batch of the following flower-infused frozen deserts for yourself, or your family, and enjoy flowers in yet another delicious way.